We aggressively battle insurance companies to get you maximum financial recovery. We are a boutique personal injury law firm based in Denver. We are proud to serve clients throughout the metro Denver area, Aurora, Boulder, Fort Collins, Colorado Springs and throughout Colorado. All of our cases are handled personally by the founder of the firm, Marc Schatten. 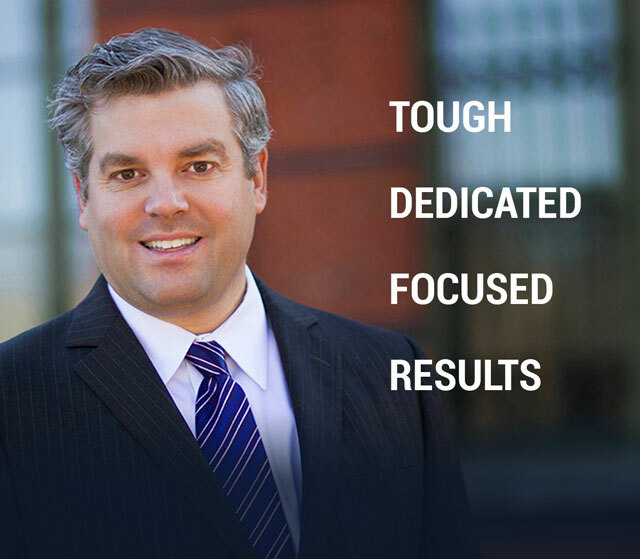 Mr. Schatten is a seasoned, aggressive and award winning personal injury lawyer. Mr. Schatten is tough and relentless in pursuit of justice. His firm takes on powerful insurance companies and corporations which frequently try to skirt their responsibilities, violate basic standards and whose adjusters too often give injured victims the run around. The Schatten Law Firm is based in the Capitol Hill area of Denver. The firm handles cases across the Denver Metro area, Front Range and Colorado. Through the span of his nineteen years of civil litigation, Mr. Schatten has handled cases that have obtained millions of dollars for clients in judgments and settlements. Mr. Schatten has also worked at top notch law firms. He has built a distinguished reputation and earned top honors and awards in the Colorado legal community being featured in the top 1% of lawyers. Award winning personal injury lawyer. Through the span of his nineteen years of civil litigation, Mr. Schatten has handled cases that have obtained millions of dollars for clients in judgments and settlements. Mr. Schatten has also worked at top notch law firms. He has built a distinguished reputation and earned top honors and awards in the Colorado legal community being featured in the top 1% of lawyers. Strength, Compassion and Dedication. Our greatest strength lies in the focus, dedication and compassion that we provided to each of our clients. We are not a large settlement mill that takes on thousands of cases a year where client cases can be shuffled between multiple junior associates and paralegals and there is often large pressure to settle cases in pre-litigation. We take on a limited number of personal injury cases. When we accept a case, we make a commitment to you, our client, to secure the best possible financial recovery for the injuries that you sustained. Delivering the Client’s Story. We work hard to learn each of our client’s story that we will present to a jury. To understand the impact of a serious and traumatic accident, we often meet with our clients, their friends, co-workers, family and their treating doctors and providers. We treat each of our clients with utmost respect, compassion and dedication. All of our clients work directly with Mr. Schatten and his team. Bottom line results. At the Schatten Law Firm, we pride ourselves in delivering maximum cash compensation for our injured clients. We are compassionate and know that our clients need to keep as much of their settlement as possible. We recognize that many of our clients and their families face rising medical bills from serious accidents. We also recognize that bringing litigation and the threat of a jury trial provide strong pressure on insurance companies to pay high settlements. Many of our referrals come from leading Colorado lawyers, law firms and satisfied clients. Lower fees. We make it our core mission to charge lower contingency fee rates that we carefully discuss with our clients. There is no attorney fee unless you recover money. Our attorney fees rates for pre-litigation and litigation work depend on many factors, including assessing liability, damages and the potential values of the case. We can offer discounted contingency fees because we don’t have the overhead of a larger firm and don’t pay for expensive multi-million dollar television advertising, the costs of which are indirectly passed on to the clients. Large and Complex Cases. We fight the toughest fights. In large and complex cases, we may consider bringing in co-counsel with excellent local and national lawyers, thus forging a powerful legal team. For instance, in one large trucking case, we brought in one of the nation’s top trucking law firms to co-counsel the case with our firm. We are also one of the few firms in Colorado that built a strong team litigating a groundbreaking case through jury trial that ultimately was one of the few personal injury cases heard by the Colorado Supreme Court. We invite you to call our law firm to discuss your case. We look forward to working with you. We can build Powerful Trial Teams for Large and Complex Cases. We are not a Settlement Mill taking on Hundreds or Thousands of Cases.